Experience our relaxed and inspiring Yoga & Pilates Studio in a beautiful historic setting in downtown Brampton. We offer a variety of classes: Yoga, Pilates, YogaFusion, Prenatal Yoga, Ashtanga Yoga, PilatesFusion, Elemental YogaDance, Meditation, Mom & Baby YogaFusion and Yoga for Kids. Enjoy our Wellness Services: Thai Yoga Massage, Personal Training including Stott Pilates Reformer, Nutritional Consulting, Reflexology, Reiki, Therapeutic Touch or any wonderful combination. Comprehensive Yoga Teacher Training. Check out our website. 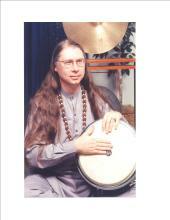 ·Classes taught in La Mesa, San Diego & Tierrasanta. ·Yoga Certification Teacher Training (200-hr & weekend). ·Special classes for the Plus Size and Health Challenged. 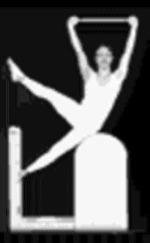 ·Special classes for beginners, seniors,& less flexible. 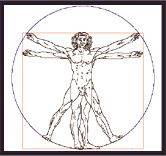 ·Yoga books, music, CD’s, DVD’s, yoga props. We offer comprehensive yoga training for all levels. Sanskrit training is available. We teach Raj Kundalini yoga, Jnana yoga, Vedic Yoga and other systems. Vedic Astrology is offered, life readings, compatability analysis, relocation and other astrological services in person or on the phone are avialable. We offer Ayurveda consultations as well as Ayurvedic lifestyle training. 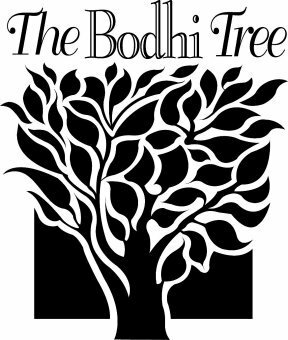 Training and consultations in Vedic philosophy, yogic philosophy, Vedanta, and home study yoga teacher training is available. Welcome to the Academy of Yoga. 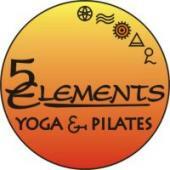 We offer dynamic Hatha Yoga, Iyengar Style, with classes six days per week. We also offer special monthly workshops from our beautiful downtown Grand Junction, Colorado yoga center, as well as special Teacher Training Courses for those who wish to become Yoga Teachers. Our teacher training courses are also designed for conscientious students who wish to expand and deepen their knowledge, experience and practice of yoga. We invite you to browse our Web Site at academyofyoga.com to see how our programs can fit your needs and we hope you consider making yoga part of your life. We welcome casual students. If you are passing through Grand Junction, please come by and visit. 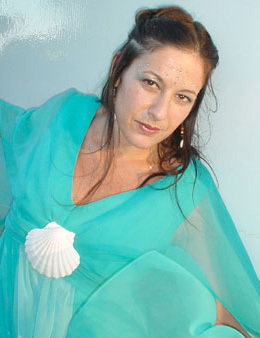 Ambe' Ray is a Itegrative Healer, Yogini and Priestess of Sacred circle with over fifteen years experience in Shamanic and Spiritual Studies, Holistic Healing, Chi Nei Tsang, Yoga and Energy Body Rebalanciing, Ambe creates a multidimensional playground for conscious embodiment. As the founder of OmVoyage, she presently designs and facilitates transformational Healing, Yoga and Expressive Art Journeys to Sacred Sites worldwide. E-R.Y.T. 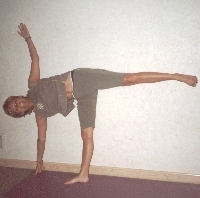 (experienced registered yoga teacher) certified with "Yoga Alliance". We have a 200 hour Yoga Certification course sanctioned by Yoga Alliance. I offer the following classes: Back Care with Yoga, Yogalates, Ball Exercises w/Dumbbells. A major depression was resolved by practicing Hatha Yoga which led me on this path to becoming a teacher. I will be forever grateful to Yoga for its therapeutics benefits. I am privileged to share this information. My Yoga classes are designed to foster the union of body, mind and spirit through yoga postures, breath awareness, and relaxation techniques. Students experience increased strength, flexibility, balance, and general well-being. They find inner awareness awakening, and they are able to establish improved breathing patterns. Deep, restorative relaxation deepens the benefits at the conclusion of each class. I teach Yoga as a synthesis of discoveries made by Vanda Scaravelli, about the interaction between breath, groundedness, and the resultant release of the spine, and the yoga techniques taught by my teacher, Donna Farhi. 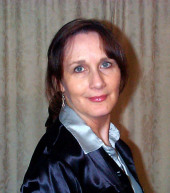 Donna's work focuses on the refinement of natural and universal movement principles that underlie all yoga practice. This concentration on fundamental principles allows students of all levels of experience and from all traditions to build their own authentic yoga practice. The work of these two yoginis is the most important evolution of Hatha Yoga practice I have ever experienced in over 30 years of practice and study with some of the world's leading yoga teachers. Hence it is foundational to how I teach. Donna's use of essential movement principles harmonizes beautifully with Vanda Scaravelli's approach, which is designed to work with the natural movement of the body through the interaction between breathing and yielding to gravity. Students learn to initiate movement from the core of the body, naturally unfolding from within and saving themselves from the burden of overwork, strain, and possible injury. This way of practice Yoga fosters freedom of movement and the experience of ease, which according to the YOGA SUTRAS, is an integral requirement of authentic Yoga asana (posture. Legs and feet become strong and well-grounded like the roots of a tree. Students are empowered to discover a freedom--a natural wave movement in their spines. In turn, minds becomes focused and bodies, free of tension. Group, corporate and private Yoga classes for all levels are available. I also offer Yoga Workshops, including Moving from the Inside Out (a Breathing workshop); Yoga for Colds and Flu; Twisting from the Inside Out, and others focusing on categories of yoga poses. Please call for the current schedule of Yoga Workshops, including Yoga Teacher Training and Certification. South of Boston Studio wins international acclaim from the Pilates Foundation International. "This studio has the most choices, classes and levels on the east coast. We offer pilates classes and privates, yoga classes and privates, muscular therapy, physical therapy and our renowned Bad Back Program. The most Comprehensive Pilates Instructor training program in the industry. We are a one stop shop for individuals who are interested in a lucrative and satisfying career or adding to their high caliber credentials. Our course includes 100 hours of lecture, 100 hours of observation, 100 hours of practice time (your Pilates workouts), 200 hours of teaching time, 200 hours of observation and practice time. All hours are taught utilizing the mat, barrels, Wunda chairs, cadillac and reformer. The lecture and coursework can all be done within our studios. Norwell and Kingston MA. Joseph Pilates meant for new clients to start Pilates on the equipment not on the mat. When he developed his original 34 mat exercises he realized that most people are not strong or flexible enough to execute them safely. Thus he invented each piece of equipment which then helped his client execute the exercises with assistance and risk of injury. Our studios offer over 180 hours per week of classes, private Pilates, duets, trios, bad back clinic, muscle release therapies and masterclasses. We have dozens of clients who know the benefits of Pilates because the have seen and felt the difference within their own bodies. You will come out of this course equipped to personalize a Pilates workout for an individual based on their bodies personal needs. Your clients will feel taller, less achy, younger and thankful to your for helping them to enhance their quality of life. Cleveland's premier yoga studio...Vinyasa Flow Yoga based classes...POWER YOGA, HOT, HATHA, KIDS, TAI CHI...Influenced by the concept that all paths in yoga inspire us to live better lives, Evolution Yoga Studio's intention is to create a central place in North East Ohio to learn more about the transformative power of yoga. 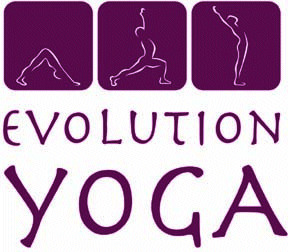 Evolution Yoga Studio also seeks to blend yogic tradition with modern exercise science and real life spirituality, bringing yoga into the 21 century. Our studio is eco-friendly, non-intimidating. Located in Beachwood Ohio, near I-271/Chagrin Blvd and Harvard Road exits. 220-Hour Hatha Yoga Teacher Training approved by the Yoga Alliance. Daily classes in Hatha Yoga, Meditation and Kundalini Yoga. Conscious Pregnancy Workshops. Partners Yoga Workshops. See our website for additional upcoming events, workshops, trainings and concerts. Our retail shop carries yoga clothing, straps, mats, blocks, books, etc. 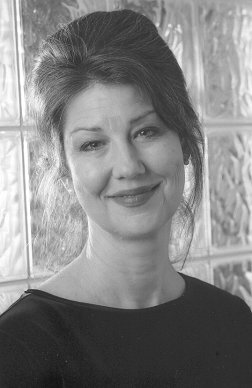 Private rolfing sessions with Ida P. Rolf Practitioner, Lesa Crocker. as featured on CBS 4. This program is appropriate for anyone who simply wants to kick start the transformation of their life. Even if losing weight is not the primary goal. Explore your questions surrounding food, dieting, losing weight, health and protein. THIS IS NOT A DIET!!! September 14 starts the Teachers Training. It is Yoga Alliance Certified and a total life changer. Anyone who registers and pays for the Program now can begin to accumulate their hours and enjoy free unlimited yoga classes until Sept 15! Center for Yoga and Health, Inc. Warm and cozy, our studio features yoga, pilates, massage, pranayama, mudra, Thai-Yoga bodywork (Thai Massage), ayurvedic consultations, and reiki healing. Yoga Alliance teacher training and a variety of workshops are also offered. CLEVELAND YOGA located in Northeast Ohio is an official affiliate studio of Baptiste Power Vinyasa Yoga. Experience a new richness of being with classes that will purify, heal and electrify your body and mind. Also offering Jivamukti Yoga, workshops and teacher trainings. For beginners and experienced practitioners. Teach Eternal Yoga and Quantum Meditation for achieving a carefully controlled mind-body connection by appropriate instruction for rapid results as well as lasting health and harmony. Reiki Healing Sessions and all levels of Reiki Training. Foot Reflexology Treatments, and Spa Stone Massage. Workshops: Various Spiritual subjects, Chakras, Reflexology, Feng Shui, Stress Management, etc. Yoga Classes for all levels and 200 Hr.Yoga Teacher Certification Training, registered with Yoga Alliance. Pshycic Readings available.